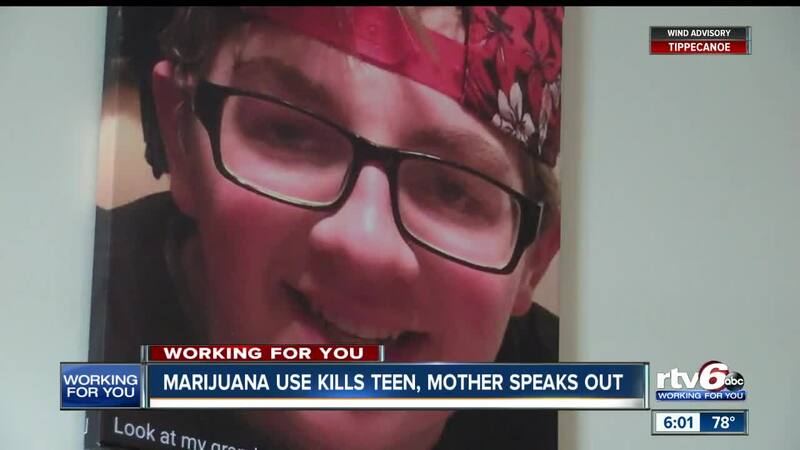 Marijuana use kills teen, mother speaks out. "You don't hear it can cause vomiting, it can cause dehydration, it can cause death," Denney said. Just months after his diagnosis, 17-year-old Brian Smith, died from dehydration caused by CHS. "His kidneys were shutting down," Denney explained. "His bilirubin was high… basically, I felt like I was watching him die." Doctors in Indianapolis wouldn't talk to RTV6, but doctors in both California and Colorado - where marijuana is legal - say they see patients come into the emergency room with the hyperemesis syndrome almost daily. "The fact that he died from this, I think that is rare," Dr. Christopher Colwell, Chief of Emergency Medicine at Zuckerberg San Francisco General Hospital, said. "I think the syndrome itself is more common than people I think appreciate." Dr. Colwell says it can be challenging to treat the condition. But with relentless, trial-and-error type treatment and stopping usage of marijuana, patients can begin to feel better. "If you're not seeing it now, first of all, you might be seeing it and just not realize it, and if that's not the case, you're going to be seeing it. So let's go ahead and address what we need to do to be ready for this." This is what took my son's life. So I feel like if I can bring light to this and I can help another child or another family not have to go through this, then I'm doing my job." Denney says she is all for the legalization of marijuana. That way people won't be afraid to seek help if they're experiencing severe symptoms. Dr. Colwell said that since it's been legalized in California, he has noticed people feel more comfortable sharing their symptoms after using the drug.